It’s more than a massage, it’s your well-being. 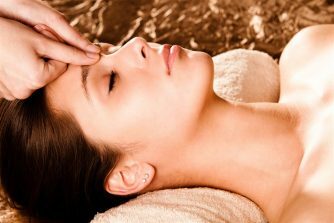 Vancouver Massage Treatments Have pain and stress compromised your quality of life? 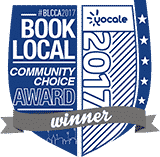 A huge thank-you to our community for voting us Best in Vancouver! At Oceana Massage, preventative health and promoting self-care – regular exercise, hydration, nutrition and relaxation – comes first and foremost. In a world where people are constantly overextending and on the go, Oceana Massage provides much needed respite and healing so clients can better manage the pace of their lives. By incorporating both Eastern and Western techniques, clients experience an environment that is relaxed and rejuvenating for physical, spiritual, and emotional well-being. Oceana Massage puts clients on the path to healthy, balanced living..
Often times we find ourselves overwhelmed, tired & unable to cope with life’s daily stresses. Something as simple as regular pre-booked appointments for massage can help with that. No one massage is the same. By combining Eastern and Western techniques such as Deep Flow, Cross-Fibre, Tragger, Swedish, Shiatsu and Reflexology, each session is customized to suit the client’s own specific needs. Engaging all the senses with using the touches of aromatherapy, and soothing sounds, massage not only stimulates the muscles and lymphatic system, they also create a long lasting positive effect to the heart and mind that helps promote overall well-being. More than a massage… it’s your well-being. Located in the heart of Crosstown between Yaletown, Gastown and Chinatown, Oceana Massage has been providing clients the ability to better manage the pace of their life by bridging the gap between relaxation massage and deep tissue massage.